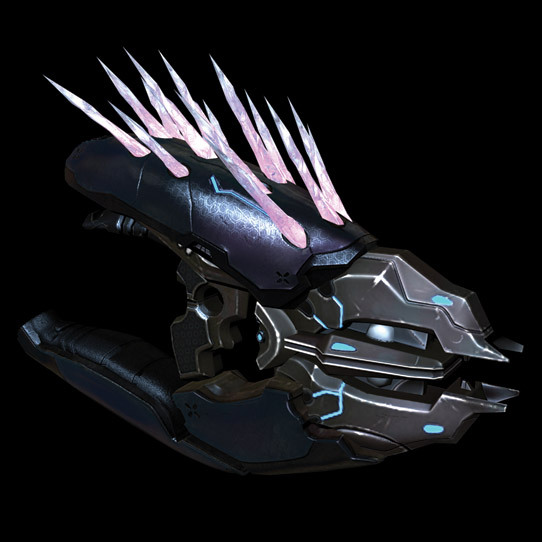 Even by Covenant standards the Needler is an unusual weapon and is one of the few designs that requires no reverse-engineered Forerunner technology to function. Instead, it fires unconventional crystal shards that display an unnerving ability to propel themselves and track on living organisms. 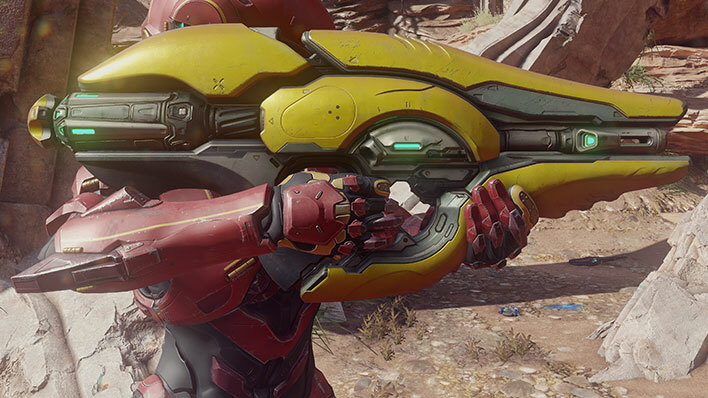 The homing behavior and ability for multiple shard impacts to create a sympathetic “supercombine” explosion made it a popular weapon among poorly trained Covenant infantry. 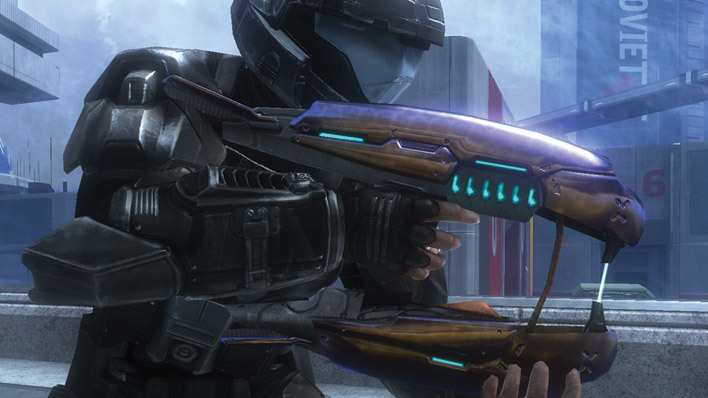 The fact that the shards are relatively ineffective against energy shielding was also seen as advantageous in mitigating the threat of rebellion. 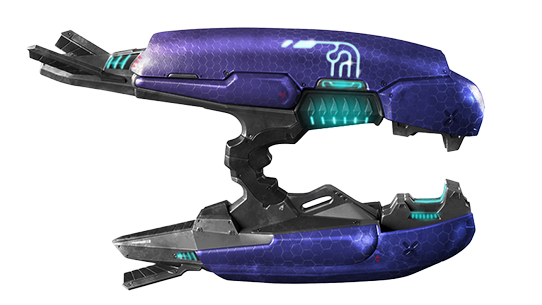 The Needler’s ammunition is sourced from a single location – the Sanghelios moon of Suban. Though veins of the material now snake throughout the moon’s interior, the crystals are found nowhere else in known space. 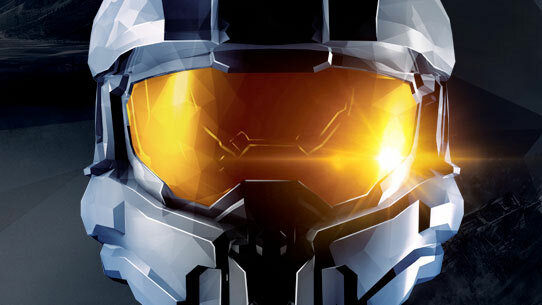 Even after millennia of study, the properties of the crystals remain enigmatic. It is possible that the Prophets knew esoterica regarding the crystals, but such knowledge was presumably lost with High Charity and its vast records complexes. 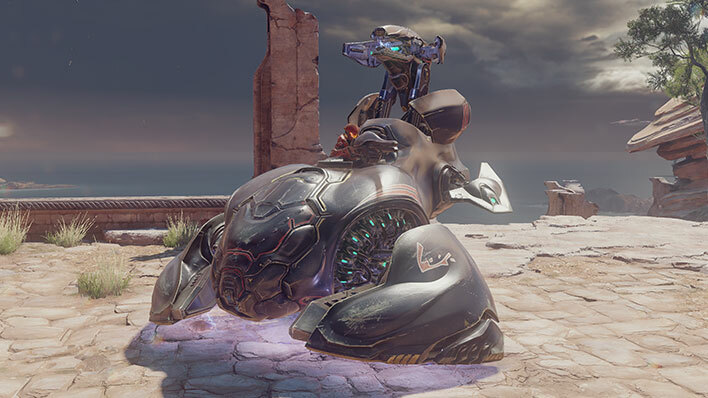 However, renewed interest by Sangheili artisan-armorers in unlocking its secrets, and unearthing of many pre-Covenant design patterns that use the crystals in novel (if poorly understood) ways may lead to new breakthroughs. Humans have also expressed interest in the crystals, especially in regards to exploiting its energy-storage properties.